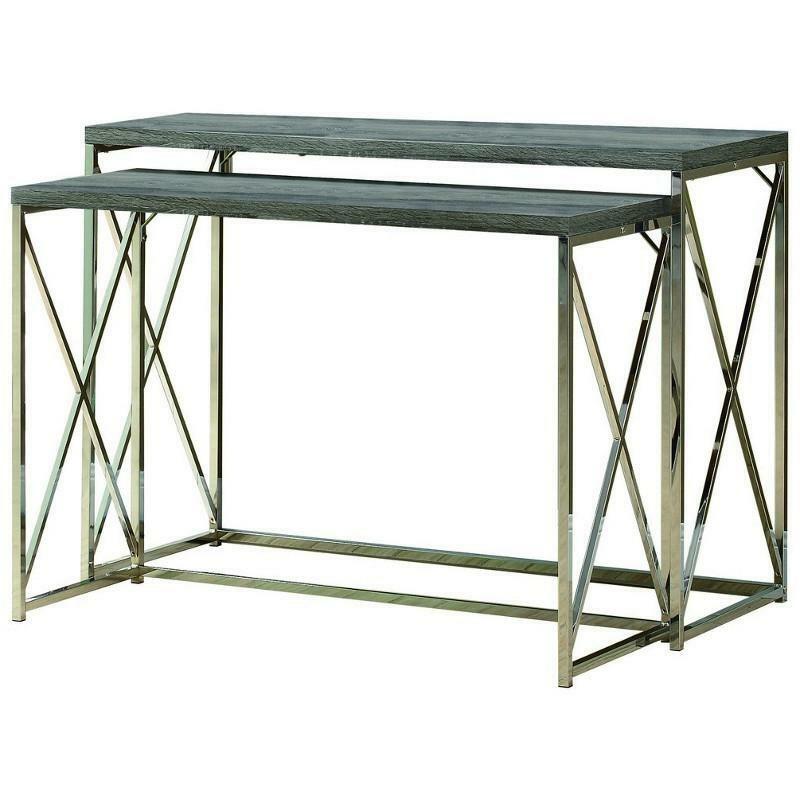 This two piece console Table set has a dark taupe reclaimed wood-look top which gives an exceptional look to any room. 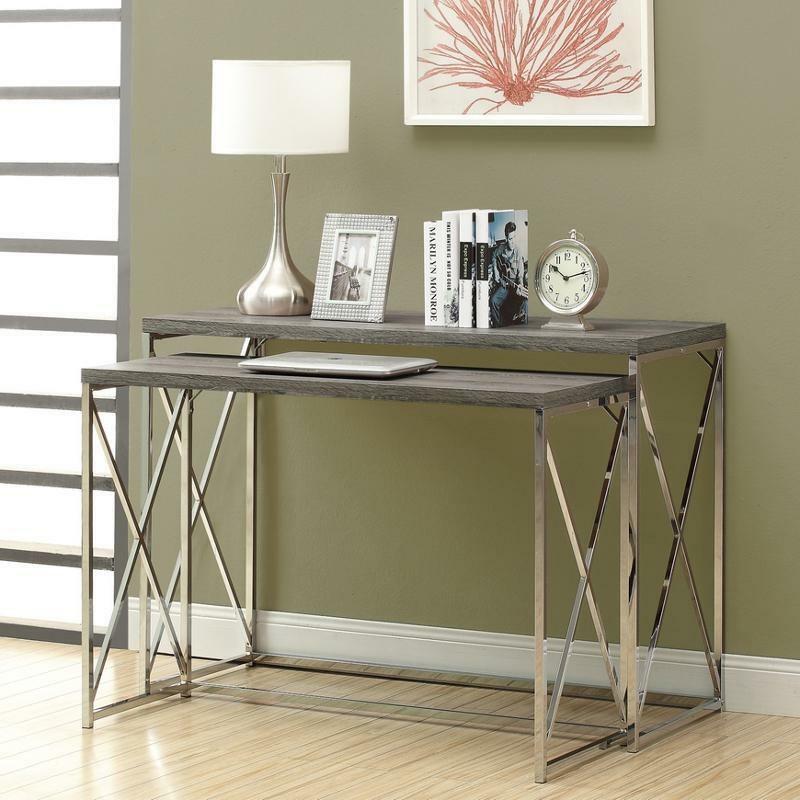 Its original oval shaped chromed metal base provides sturdy support as well as a contemporary look. Use this multi-functional set as lamp tables, decorative display tables, or simply as accent pieces in your living room, hallway or even bedroom.